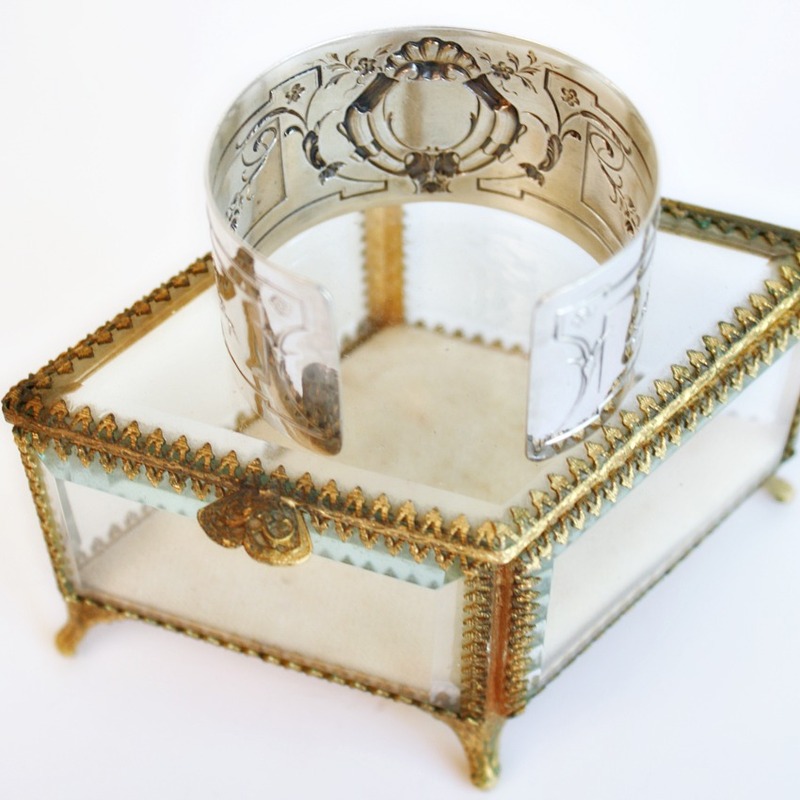 Antique French Sterling Silver Ribbons Monogram Cuff Bracelet by Karen Lindner, a luxury work of art, that just happens to be transformed into investment jewelry. Unforgettable, an heirloom in the making. 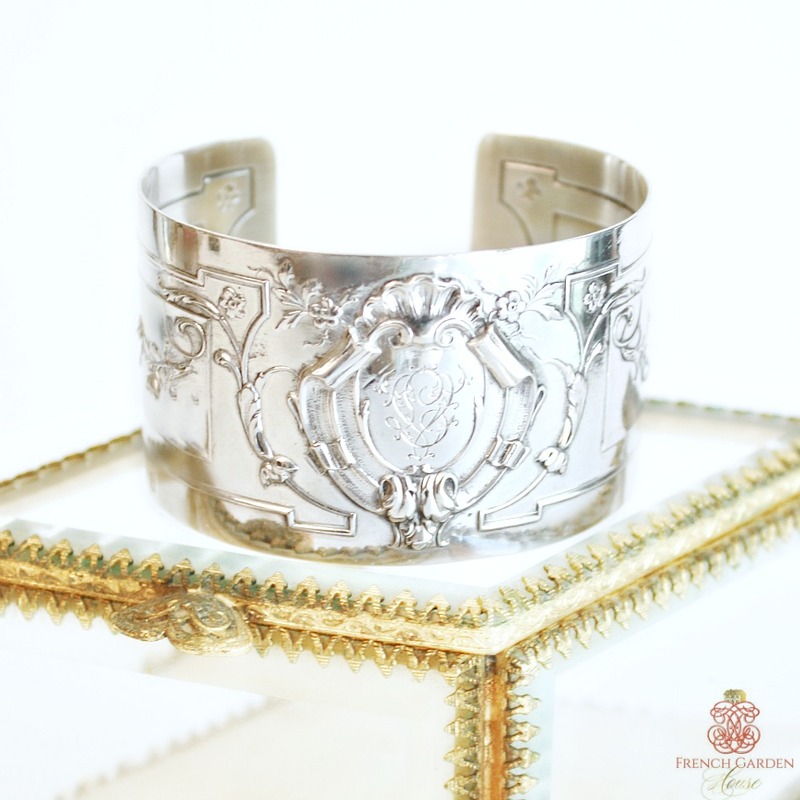 This fine & ornate sterling silver French masterpiece - hand made long ago and a labor of love by an accomplished craftsman - has been transformed into a cuff bracelet. With extravagant details of rose and other floral garlands, a ribbon detail and stunning central crest with a shell with the monogram of D L. this exceptional jewelry piece sparks an emotion, a memory. Like the woman who wears it, this has a story to tell, and a journey that goes along with it. Marked for sterling. One of a Kind. This is the kind of jewelry you celebrate major anniversaries, new babies and a major promotion with. You will never be able to find another. 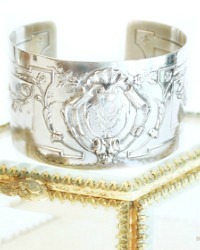 Measures 1-1/2" wide, fits a 7" wrist- because it's sterling, it can be formed to fit a slightly smaller wrist.